Getting a conditional mortgage loan approval means that borrowers meet the basic qualifications with regards to income, credit, and assets. Most mortgage loans close in 30 days or less. If there are overdrafts in bank statements or not enough funds to close, mortgage approval can be revoked. Credit Repair is a huge business. A large percentage of consumers with bad credit enroll in a credit repair program. However, many credit repair companies were successful in deleting public records off consumer credit reports. All lenders do a third party national public records search. Any public records that has been deleted off credit report will get discovered. Most mortgage companies issue conditional loan approvals before doing a third party public records search. 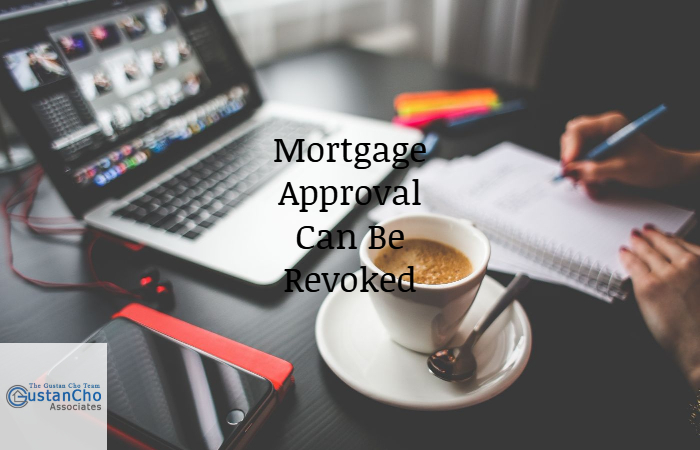 Borrowers who have not disclosed public records to their loan officer and gotten a conditional loan approval can get their mortgage approval revoked when public records gets discovered. One of the things you CANNOT DO is to dispute a derogatory credit item with a credit balance. Home Buyers or homeowners who need to qualify for mortgage with direct lender with no lender overlays on government and/or conventional loans can contact us at The Gustan Cho Team at Loan Cabin at 262-716-8151 or text us for faster response. Or email us at gcho@loancabin.com. We are available 7 days a week, evenings, weekends, and holidays to take mortgage inquiries. Gustan Cho Associates at Loan Cabin Inc. is a five star direct lender headquartered in Lombard, Illinois and licensed in multiple states.